No path? No problem. 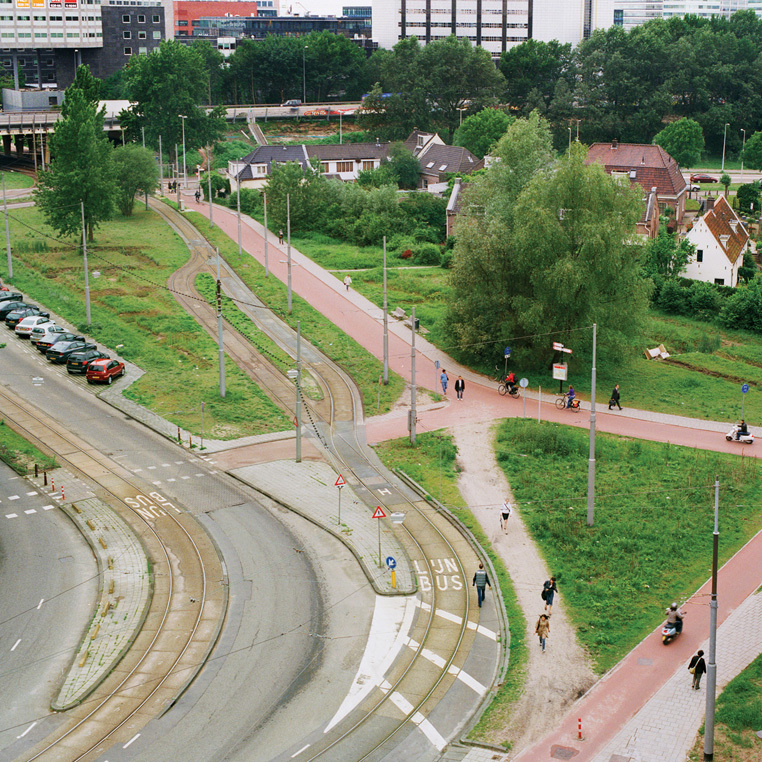 The desire lines in this Dutch photo essay prove that people are quite comfortable going their own way. "Kantoorpaadje," Pietersbergweg, Amsterdam. Distance saved: 10 feet. 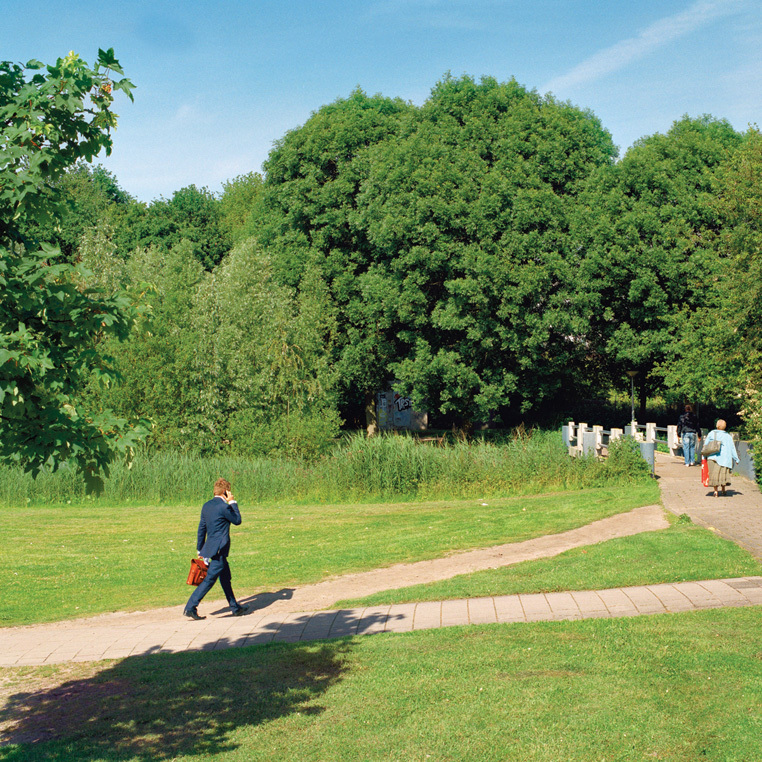 "Zoetermeer3," Bredewater, Amsterdam. Distance saved: 18 feet. "Olifant Achmea," Molenwerf, Amsterdam. Distance saved: 100 feet. 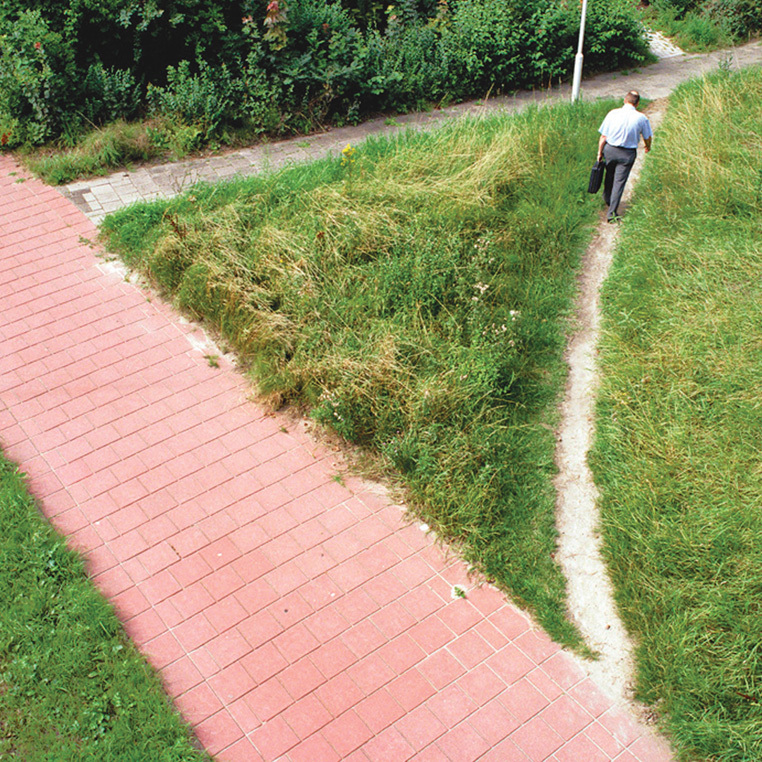 Shortcuts are nothing new, but most folks are too busy absentmindedly following—or initiating—them to stop and truly notice the way these trails regrid the pedestrian landscape. 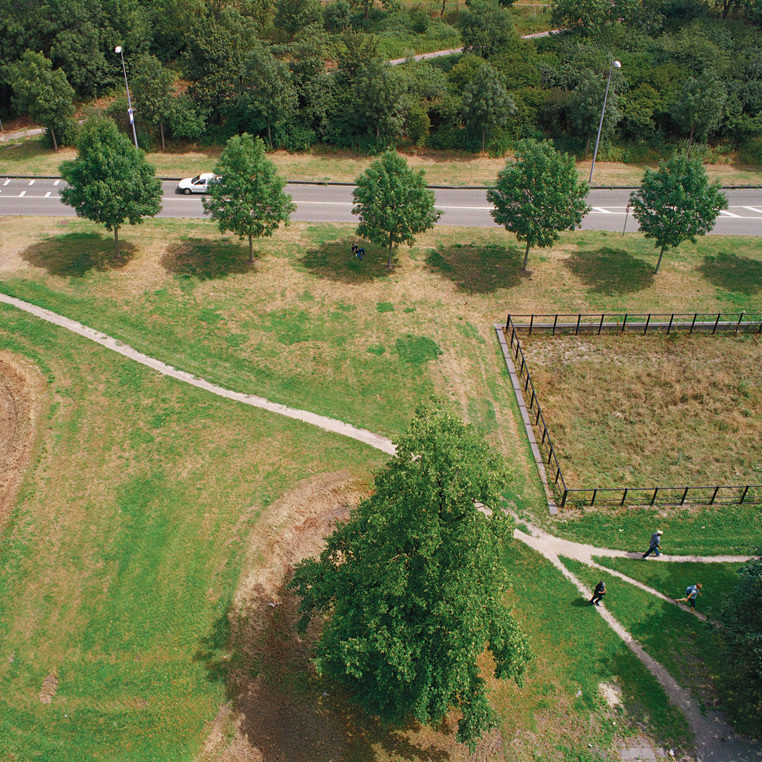 Dutch photographer Jan-Dirk van der Burg spent four years capturing the evocatively dubbed olifantenpaadjes—literally “elephant paths”—all over the Netherlands. The results provide a droll glimpse into a most basic animal instinct: to conveniently close the gap from here to there.